About a month ago I showed you swatches from Depend’s O2 Rewind collection. 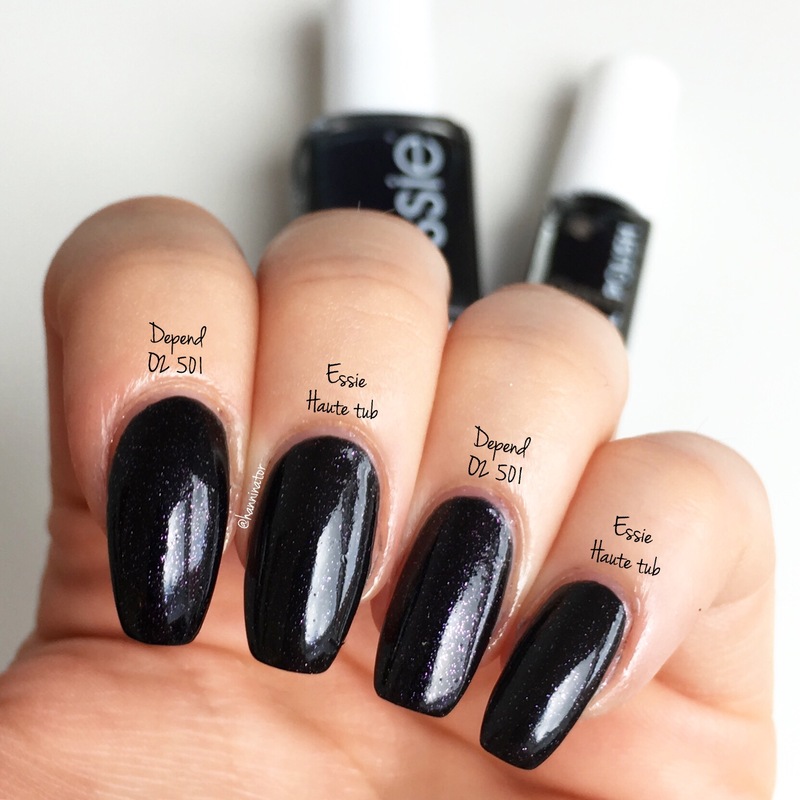 I thought that one of the polishes from the Rewind collection was really similar to Haute tub from last year’s holiday collection from Essie. 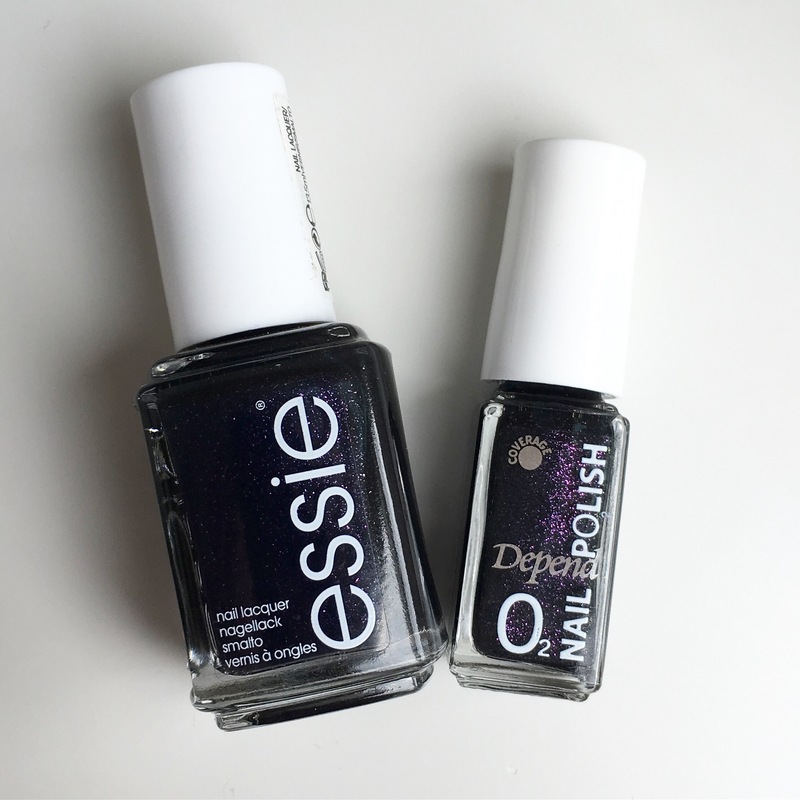 So today I’m gonna show you a comparison of the two polishes. Here I’m wearing two coats of each polish over one coat of base coat. And as you can see they are very similar. 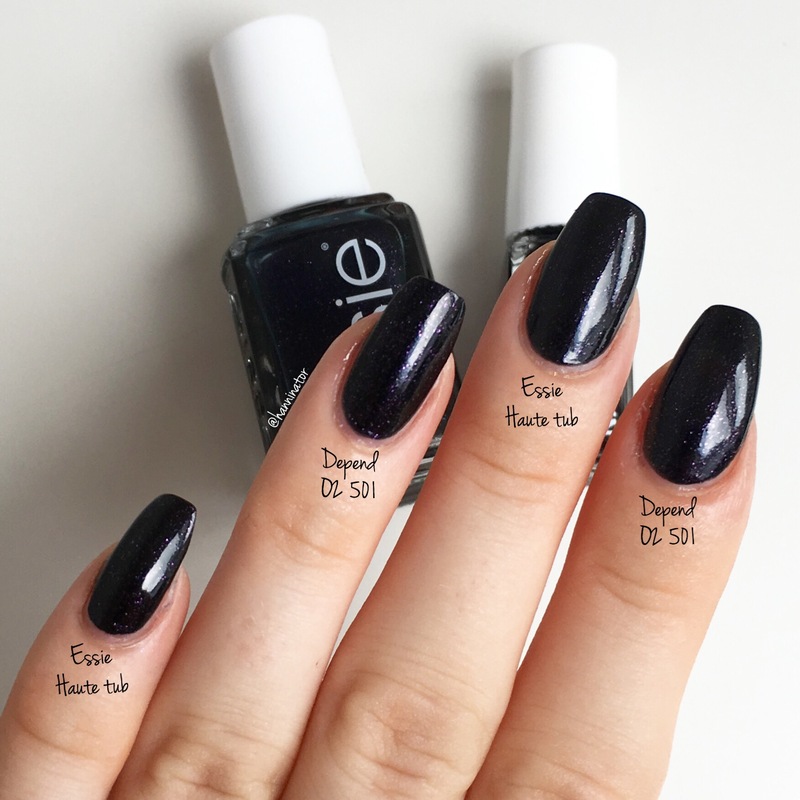 The only difference is that O2 501 has more puple glitter than Haute tub. Out of the two polishes I prefer O2 501, just because the purple glitter is more visible.